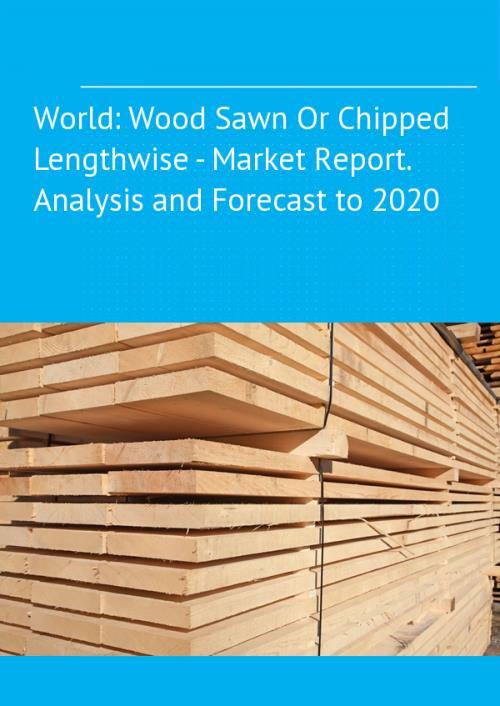 The report provides an in-depth analysis of the global sawn wood market. It presents the latest data of the market size and volume, domestic production, exports and imports, price dynamics and turnover in the industry. The report shows the sales data, allowing you to identify the key drivers and restraints. You can find here a strategic analysis of key factors influencing the market. Forecasts illustrate how the market will be transformed in the medium term. Profiles of the leading companies and brands are also included. Wood sawn or chipped lengthwise, non-coniferous, sliced or peeled, whether or not planed, sanded or end-jointed, of a thickness exceeding 6 mm, of tropical wood, of oak, of beech and of other non-coniferous wood; non-coniferous wood (including strips and friezes for parquet flooring, not assembled) continuously shaped (tongued, grooved, rebated, chamfered, V-jointed, beaded, molded, rounded or the like) along any of its edges, ends or faces, whether or not planed, sanded or end-jointed. Wood sawn or chipped lengthwise, coniferous, sliced or peeled, whether or not planed, sanded or end-jointed, of a thickness exceeding 6 mm; wood (including strips and friezes for parquet flooring, not assembled), coniferous, continuously shaped (tongued, grooved, rebated, chamfered, V-jointed, beaded, molded, rounded or the like) along any of its edges, ends or faces, whether or not planed, sanded or end-jointed.